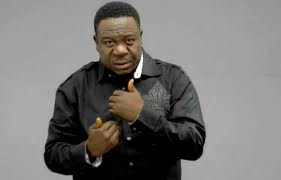 The Nollywood hilarious actor John Okafor a.k.a Mr ibu took to social media to support President Muhammadu Buhari on his actions against the Nigerian judiciary over allegations of corruption levelled against some judges. “I will support Buhari for his action against Nigeria Judiciary ,when issue of Buhari’s certificate came up, No judge was serious to prosecute Buhari,when IPOB members where killed, No judge talked about it, when Nnamdi KANU was guiltless, No judge talk about it, When Dasuki was granted Bail even in ECOWAS Court. No Judge talked about it,When Shitte Muslim where killed in Kaduna No judge talked about it, what about the killings in Nimbo and Agatu? No judge talked about it, Margaret was killed in kano while preaching No judge talked about it, all the arrested boko haram members where released by Buhari, No judge talked about it, 2015 general election nko? No judge talked about it.” “As Nigerian Judiciary failed to jail Buhari let Buhari jail them……i give him my 100% Support on this one,” he concluded.